Paul Craine, age 78, of Center, passed away on Sunday, January 13, 2019, at the Nortons Women & Childrens Hospital in Louisville. He was a native of Cave City and the former owner and operator of Paul's Shell in Cave City. He was preceded in death by his parents, Veachel Paul Craine & Daisy Gossett Craine; one son, Steven Paul Craine and one brother, Rondal Craine. 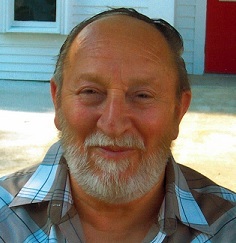 He is survived by his wife, Margie Johnson Craine of Center; two children, Darrell Craine (Paula) of Cave City and Vickie Boyd (Chris) of Cave City; three step-children, Randy Poynter of Jasper, GA, Glenda Poynter of Glasgow; and Sherry Burrell of Glasgow; 16 grandchildren, 16 great-grandchildren; three sisters, Sheila Hatcher (Melvin) of Cave City, Sharon Kinslow (Richard) of Cave City, Juanita Deweese (Kenny) of Corydon, IN; several nieces, nephews, cousins and a host of friends. Funeral services will be held at 1 p.m. on Thursday, January 17, 2019 at Winn Funeral Home with burial to follow in the Cave City Cemetery. Visitation at Winn Funeral Home from 2-8 p.m.on Wednesday, the 16th, and from 9:00 until time of service on Thursday.